June | 2015 | 50 Westerns From The 50s. 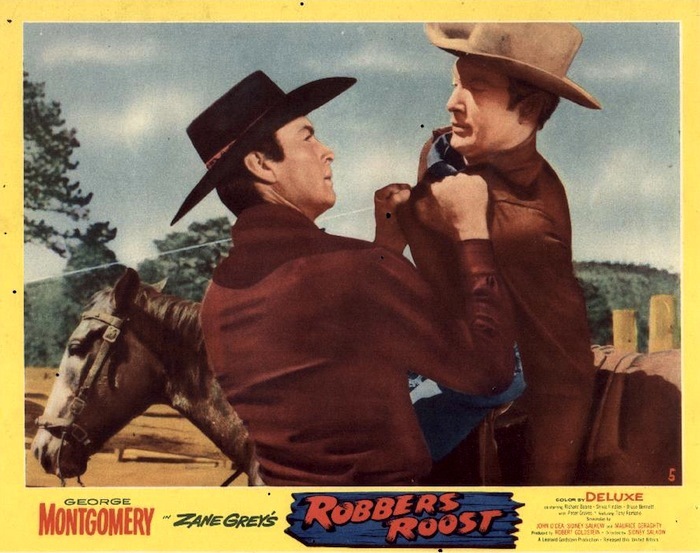 50s Westerns Blu-ray News #186: Robbers Roost (1955). Sure has been a lot of new release stuff turning up lately. And here’s a good one: George Montgomery in Robbers Roost (1955) — coming from Kino Lorber later this year. The DVD from MGM’s MOD program was nice, and I figure this will hail from the same transfer. John Ford And Jaws (1975). Spent the evening with two of my favorite things — my daughter Presley and Jaws (1975). 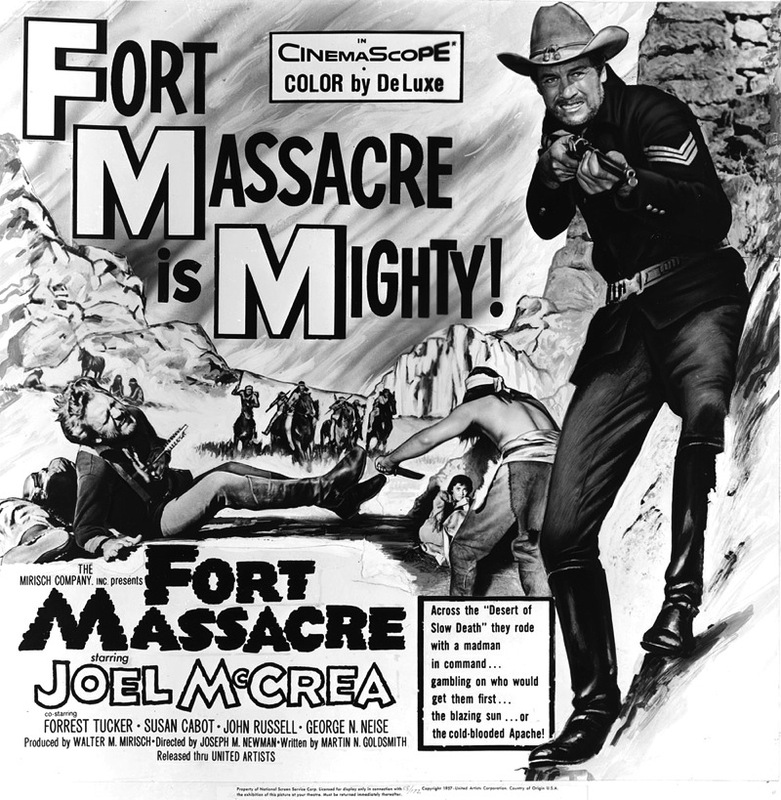 It was one of those TCM 40th anniversary screenings. The scene with the two guys fishing with some chain, a big hook and a roast always makes me smile. 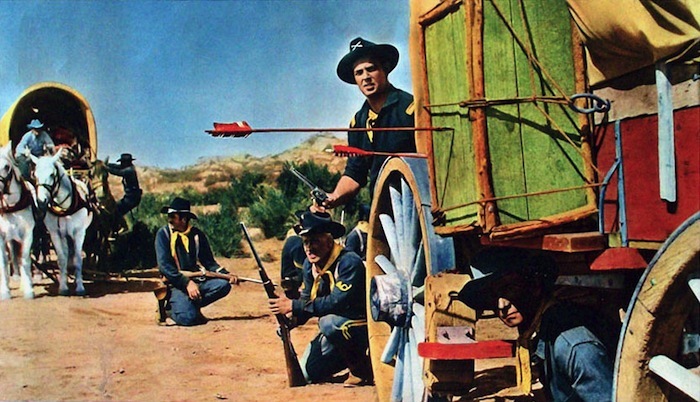 As they wait for a bite (which they certainly get), they both whistle “Shall We Gather At The River,” the hymn John Ford loved and used in many of his Westerns: Stagecoach (1939), Three Godfathers (1948), The Searchers (1956) and more. I’ll bet you anything it’s a tribute to Ford — and if I ever bump into Steven Spielberg somewhere, I’m gonna ask him. The 4K restoration of Jaws is beautiful on the big screen, but I really hate the stereo mix (and did they remove the wire from the buoy in the opening scene?). I wanted to slap the fat guy who decided to go to the bathroom during Robert Shaw’s Indianapolis speech. 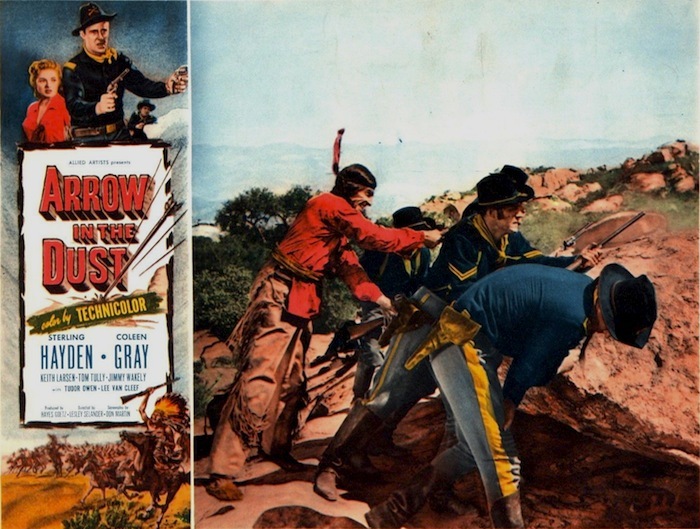 DVD Review: Arrow In The Dust (1954). 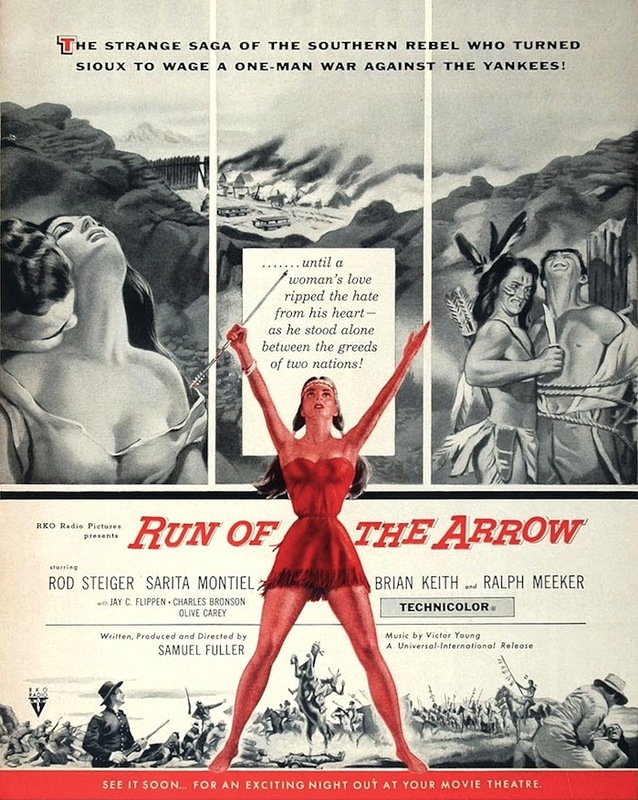 With Arrow In The Dust (1954), Allied Artists seems to have splurged a little. 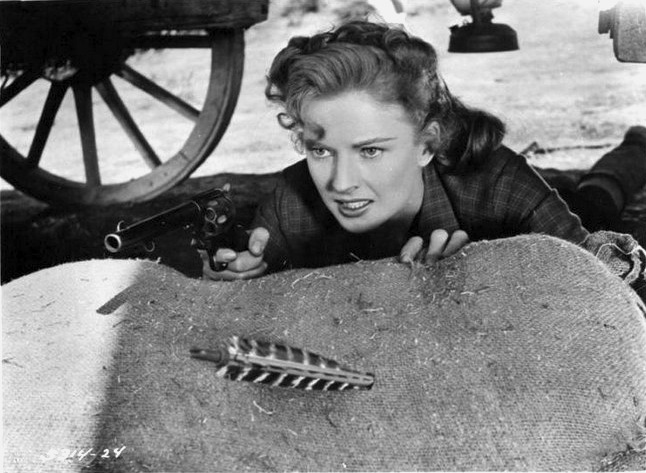 With both Sterling Hayden and Coleen Gray in the cast, there’s a bit more star power than usual — and we’re treated to the vivid hues of Technicolor on the then-new wide screen. But this was made not long after Poverty Row’s Monogram Pictures made the transition to Allied Artists, so some of their typical B Movie trappings are very much in evidence. And that’s not a bad thing. 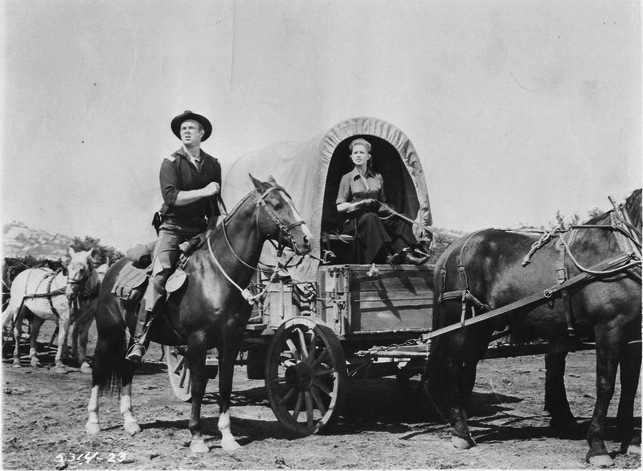 Sterling Hayden’s Bart Laish, a cavalry deserter who poses as an officer to lead a wagon train through Indian territory. And boy, do they need his help — the Indians attack the settlers and soldiers again and again (for reasons that become clear in the last reel). Along the way, Hayden is revealed as a solid leader and undergoes a real transformation (though we’re never given his reasons for deserting in the first place). 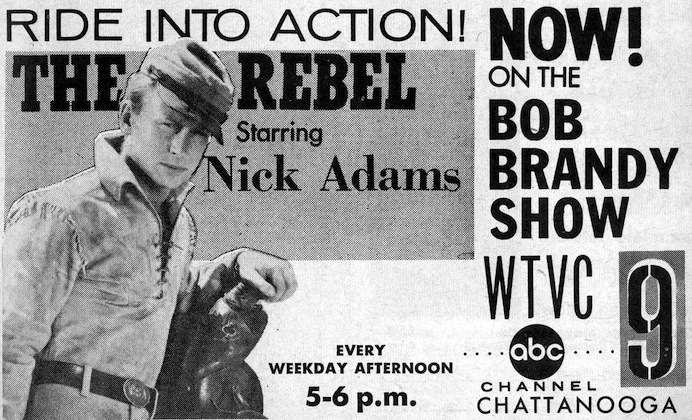 Along with his redemption, he develops a relationship with Christella Burke (Coleen Gray), a woman heading west with the wagon train. 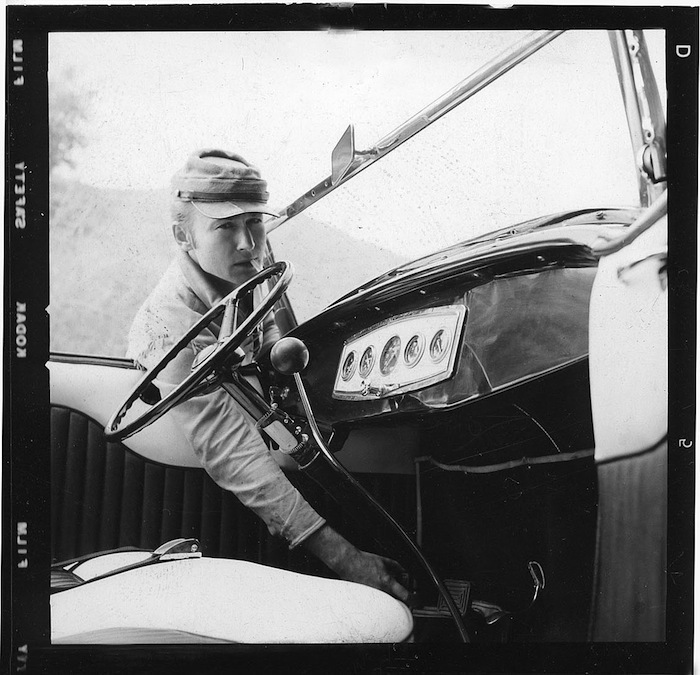 Working with a crack team of stuntmen and a sizable amount of stock footage, Lesley Selander really piles on the action. And when it comes to action, Selander’s the guy you want in the director’s chair. While you may feel there’s little character development here, it seems to me that there’s quite a bit of it, given how much screen time is devoted to action. Hayden and Gray are as reliable as ever, rounding out their characters very well. Tom Tully, as an old scout, is also very good. Incidentally, Hayden and Gray (and Vince Edwards) would appear in Stanley Kubrick’s The Killing (1956). Think Kubrick and his team screened Arrow In The Dust during casting? Arrow In The Dust is no epic. No one’s ever gonna mistake it for one. But it’s a revelation to see its 1.85 framing (presented as a more TV-friendly 1.78) reinstated. And while the DVD from Warner Archive is the best I’ve seen the movie look, there are some problems — and I fear they come from the original material, not the transfer. The stock footage doesn’t match the rest of the film, which is a small gripe. The day-for-night scenes are painfully obvious, and I suspect the print material doesn’t reflect the lab work that went into first-run prints. And you’ll see some dust and scratches here and there. 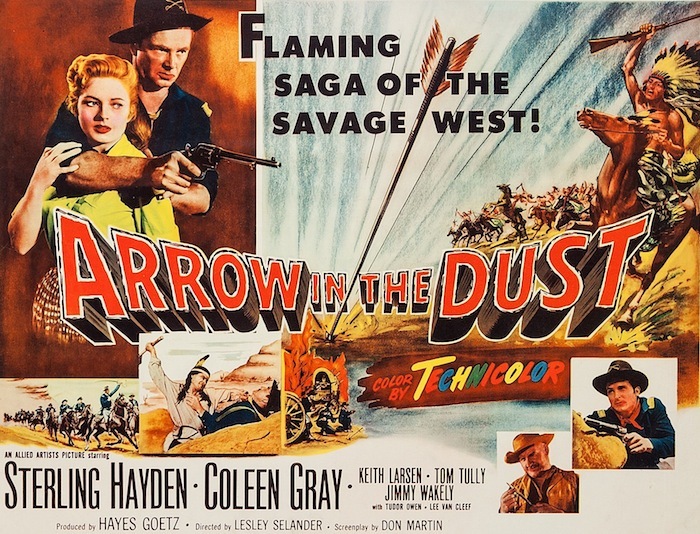 Sterling Hayden’s performance really boosts Arrow In The Dust, and Lesley Selander’s command of action and pacing keep things moving toward a very satisfying conclusion (I’m a sucker for a redemption story and would watch a movie of Hayden brushing his teeth). 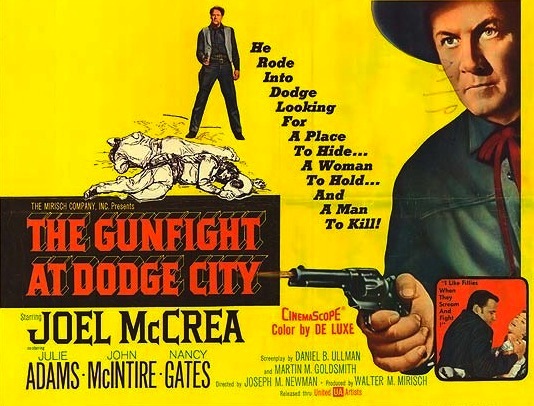 This is a solid, if slightly cheap, mid-budget Western that’s certainly worth another look — especially given the improved picture quality and original framing. Recommended. Laura’s already reviewed this one.